Your short description should sum up your creative work in a sentence or two. This should be an at-a-glance introduction to yourself and your work. Your long description should contain further details about what you make and how you plan to share it with subscribers. Feel free to also provide external links to your work; like a personal website, portfolio, or relevant press. 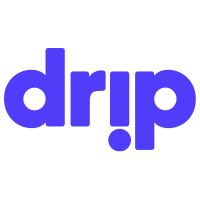 After reading through your long description, subscribers should have an understanding of how you’re bringing your practice to Drip, the frequency in which you’ll be posting, and what it is they will receive in exchange for supporting you.